Easter weekend is always a big celebration for my family. Not only do we rejoice in the real reason for holiday, but we delight in fun family traditions, and also feast our faces in chocolate bunnies and marshmallow treats of course. And this year we even had more to celebrate because it was my Mother-in-law’s birthday! Whew - talk about a jam-packed weekend. To dress for the occasion I choose an asymmetrical peplum top I recently purchased at Lane Bryant. I’m completely obsessed with the color and fit. 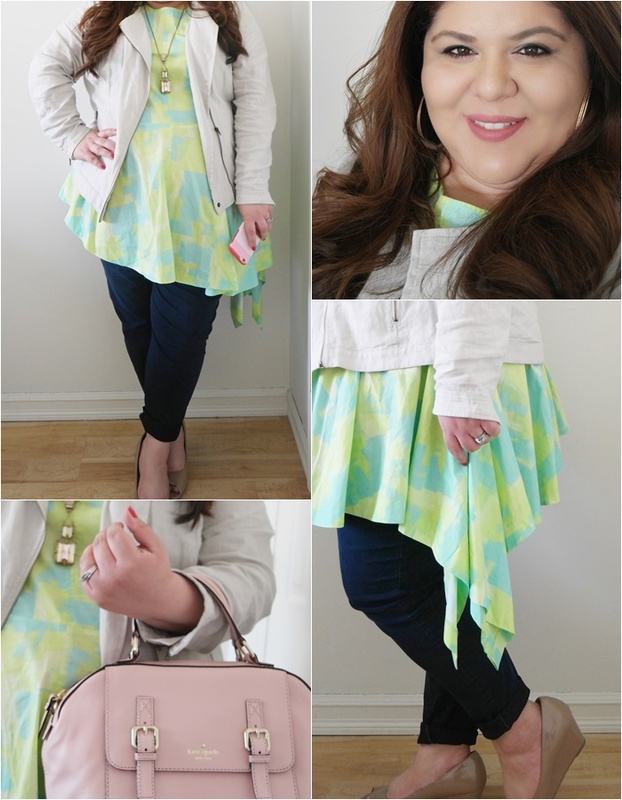 It screams spring and I was waiting for the perfect excuse to wear it out. I paired it with a linen jacket because the temp was a bit chillier than expected, but in the end I think it worked out fine. How did you celebrate Easter weekend? Fun cut and awesome colors for Easter!